Posted on May 18, 2017 by Sabrina C.
Prompt: A fair has come to town with a strange funhouse. Inside is a mirror that shows the viewer that last thing they will see before they die. “Come on, Cam!” He shouted. “It’ll be fun.” I should’ve known he wanted to come here. The annual fair was his favorite place to go. I just didn’t think he’d drag me here on our 7 month anniversary. “Why don’t I just wait out here while you go in?” I laughed, trying not to ruin his mood. I really didn’t want to spend ten minutes in a mirror maze that’ll leave me with a headache as soon as I come out. I sighed. I really didn’t want to be the kill of his excitement. I smiled and followed Jay through the doors, preparing myself for the vertigo. The space behind the door opened up into a hallway of mirrors with dark lighting and a door at the end. I started to walk towards it when I realized it was only a reflection of the original one, bouncing off the other mirrors. Other than that, there wasn’t much excitement in here. About to ask if we could go, I was interrupted by a sigh. “No, you stay here and enjoy it. I’ll be right back.” Before I could answer, Jay was already out the door. I rolled my eyes and made my way to the exit. No way I was staying here by myself. I reached for the handle on the door and was met with a hard surface. I tried again and the door handle wasn’t there. I looked up at the reflection I had thought was real. Unbelievable. I turned around and walked down the hallway, seeing my figure follow me with my peripheral vision. When I got to end, the door did the same thing. No handle. Just a reflection. I groaned in frustration. How did I get so turned around? I looked at my surroundings, trying to find the way I had come in. All I could see was my own confused face staring back at me. It filled the room, ceiling to floor. Then suddenly the lights went out. Just great. The hallway immediately filled with light once again, but the reflections were gone. In fact all that was around me was the wood of the walls, except for the screen at the end of the hallway. Walking to it, a movie starting playing. It didn’t seem like a movie that I had seen before. The screen went into focus and I saw the funhouse. The same one I was in with it’s wooden door, leading into this hallway. I saw the carousel across from it and even Jay walking towards the entrance just like before when he beckoned me inside. The image flashed forward to night. Jay was driving his beat up truck on the freeway towards home. Our favorite band was playing on the radio, and we both sang along. We screamed the lyrics with the windows rolled down and the wind whipping my hair. I smiled at how happy we looked. “Stop!” I screamed at the video. But we just kept on singing. As the car moved faster, our voices got louder, louder than the cars around us, louder than the revving engine, louder than the honk of the upcoming truck as we crashed into it. “No!” Tears filled my eyes, and I pounded on the screen. I wanted out of this hallway. I threw myself at the wall and felt the jab as the doorknob poked my side. The door! I twisted it and was met with the sun and the carousel and most importantly Jay, who was waiting just outside the door. Alive. I flung myself into his arms. “You’re okay!” I hugged him tight so he couldn’t move away. Thankfully, he wrapped his arms around me, reassuring me that he was real. He wiped at my face to clear it. “What are you talking about, sweetie? 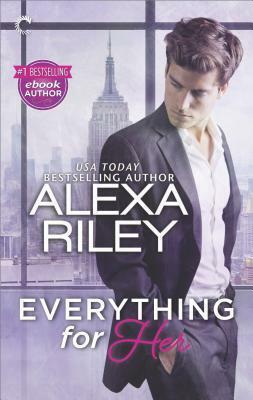 Everything’s fine.” He smiled and I couldn’t help but smile back. “How long was I in there?” I asked, hoping for an answer. “Are you okay?” He asked, brushing the hair from my eyes. I shook my head. “It was so real,” I whispered. He kissed my head. “It’s okay now, Cam. The sun’s setting already. How about I just take you home?” I nodded and let him lead me to the fair’s exit. “And don’t worry, it’ll be faster if I take the freeway.” He winked. Prompt: An extra hour occurs at midnight but only a handful of people can experience it. It is called the Dark Hour. When the minute hand landed on the daunting 12, the chimes were cut short as the second hand stopped. Silence rang through the still house. No one was moving, no one was breathing, for time was frozen. It was a time when the unknown could venture undetected. Alone in the world, they could roam with no humans in their way. That is except for the chosen. These few people were able to experience the extra hour given to them. Some viewed it as a blessing, others a curse. When the creatures came out for leisure, they didn’t take kindly to the ones who disturbed them. If someone was awake, they’d know. So when Brian opened his eyes that night for his first Hour, he had no idea the things he would never be able to unsee. The abrupt stop of the clock awoke him, and his eyes snapped open to the chill of lifelessness. He could feel it in his bones; immediately he knew what it was. Slowly, he shuffled his feet to the floor and was surprised at his silent steps when the floor didn’t creak. All there was was quiet. Nothing moved out of place. His discreet footsteps took him to the screen at back door where he expected to find the trees rustled by wind but there was none. Life was like a picture, a completely unmoving portrait. Until the first monster ripped through the illusion and made its presence known with a roar. Posted on May 26, 2015 by Kaylie W.
On a seemingly normal day, the town of San Perdido is suddenly hit with a phenomenon that results in everyone over the age of fifteen disappearing…all adults are just simply gone! To the confusion of the remaining children, a giant force-field now surrounds the entire area of Perdido Beach, preventing anyone from entering or leaving. Abandoned and frightened, the children are exposed to the threat of conflict, danger and death, and life with no adults or form of authority. With no electricity and phones and televisions no longer working, the town becomes a prison for the “surviving” children who must find a way to maintain order amidst the chaos. To top it off, the children start developing strange powers, some even deadly, that causes extreme manipulation and sides to be chosen. The ensuing fight becomes a catastrophic battle for survival, while the thought of time running out looms over everyone—because the day you turn fifteen is the fateful day you disappear, just like everyone else. Written by Michael Grant, the Gone series is breathtaking young-adult series that’s packed to the brim with mystery, action, suspense, and (of course) romance! The books are titled: Gone, Hunger, Lies, Plague, Fear, and Light. 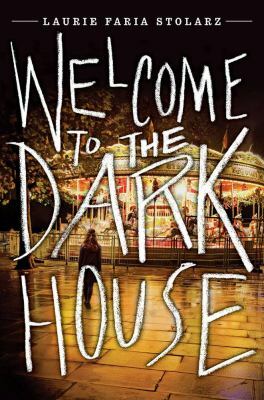 In my opinion, the series is fast-paced and frighteningly gripping, for Grant is able to successfully write a dark, brutal account of a world of children with no authority that describes the death and moral dilemmas they must face. The characters are all complex yet relatable, because they are all kids, just like you and I, who are struggling with the reality of the world they are thrown into. Even though there is some mature content, especially in the last three books of the series, I would certainly recommend the Gone series, which can be considered a modern-day Lord of the Flies, to those over thirteen years who are fans of The Hunger Games and hard-core dystopian-science fiction admirers! Posted on February 17, 2015 by Marilyn J. This is the ninth book in the Lindsay Boxer series so I recommend reading the previous novels before reading this one. 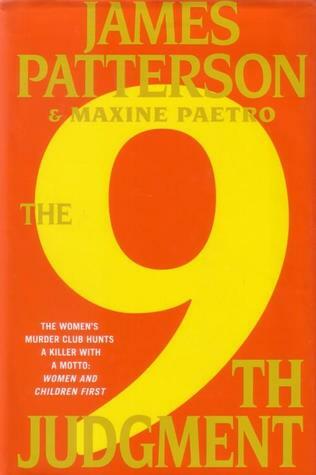 However, if you don’t want to read the first eight books, you can jump right into this one. Unsuspecting of being stalked by a murderer, a mother and her infant head towards their parked car. Upon reaching their car the man trailing them approaches the mother and asks to use her cellphone. As she turns to hand him her phone she finds him holding a gun. Panicking, she offers him money but to no avail. Without any mercy the unknown killer guns the woman and her child down. Around the same time, a burglar sneaks into a million dollar home. Quietly she sneaks into the master bedroom and skillfully removes dozens of sparkling jewels from an open safe. Without making a mistake the burglar is about to leave when she accidentally tips over a table. Startling the sleeping movie stars, she has to find a quick way to escape. Startled awake by the loud crash or her table, Casey Dowling jumps out of bed, only to be shot down. The next day her death is all over the news, and her husband claims that the burglar shot her while leaving. How is Lindsay supposed to solve a crime where the only evidence is a cryptic message scribbled across a windshield in lipstick? The killer is quick, stealthy, and skilled. In addition, Boxer is suspicious of Casey’s death. Can the burglar be somehow linked to the ruthless killer? And who killed Casey Dowling? I got a kick out of this book. 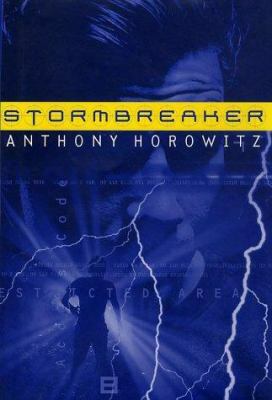 Along with being a suspenseful thriller, it was one of my favorites out of the entire series. I highly recommend this book for a fast-paced, easy read. Posted on February 6, 2015 by Anmol K.
How would you react if you found out that you were kidnapped because there is a picture of you as a toddler on an ordinary, everyday milk carton? 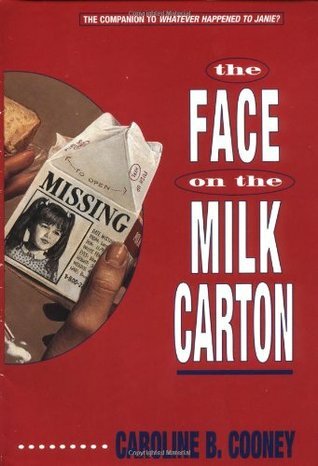 15-year-old Janie Johnson recognizes her photograph on the “Missing Child” side of a milk carton in the young-adult novel, The Face on the Milk Carton by Caroline Cooney. Slowly unraveling the mystery of her past, Janie discovers that she was kidnapped by her “Mother” as a young girl and finds out that her real parents are in New Jersey. The end of the book leaves you with Janie talking to her real Mother. Does Janie leave her “adoptive” parents? Does she actually meet her biological parents? Does she ever find the women who abducted her? To find the answers to all these questions, one must read this book and the entire Janie Johnson series. Reading this book for English, I was interested that it wasn’t mainstream like some other classical works. The storyline of the book is great, in my opinion. The execution could have been slightly improved. I liked how the first book ended in a cliffhanger and then you would have to read the next one and then the next one to find out what becomes of Janie. The last book did not have a very conclusive ending, but it was satisfactory enough. If you are interested in the mystery genre, then the Janie Johnson series is for you.